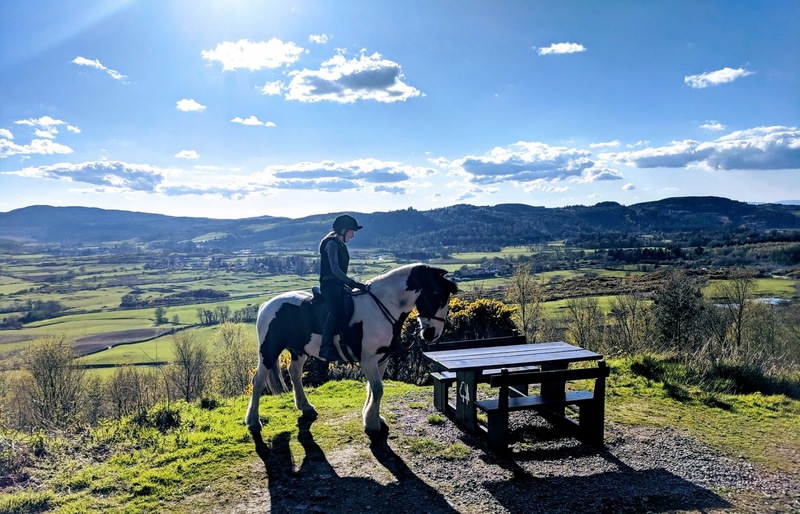 Here at Gorsebank, you’ll find everything you and your horse need for a great equestrian break. We have access to miles of off-road forest trails along with great facilities on our relaxed and friendly yard. For your horse, we offer grass livery, DIY stabling or, you can have a holiday too and let us take the strain by putting your horse on full livery during your stay. Ride across the farm, through the ajoining forest down to the coast for a beach ride, or try our xc training ground. We can accommodate up to 4 horses per booking. For you, we offer everything from Glamping Bothies with hot tubs, glamping cabins to wild camping with your own tent. Our Glamping Bothies sleep up to 8 - 10 people, so you can bring along a few friends or non riding family members! The bothies each have a fully fitted kitchen, comfortable lounge area with FreeSat TV, a log burning stove and an outdoor seating area with an optional wood-fired hot tub to relax in after a day in the saddle. For smaller groups, why not try our Pods, Wigwams or Timber Tents, some of which have wood-fired hot tubs too! Or you can bring along your own tent and camp in our scenic wild camping area. Live Local? Looking for long term livery for your horse or need stabling whilst you are away on holiday? Please note: Due to crushed stone tracks that are found in the forest, we do recommend that the longer routes in particular are more suited to shod horses. We ask that visiting horses are inoculated for equine flu and tetanus and must travel with passports. Our yard is a modern internal stable block where we can offer stabled livery for up to 4 horses plus more on grass livery with our 80 acres of grazing. We have direct access to Dalbeattie Forest and can provide a map with suggested short and long routes. You can even plan a day’s hack through the forest to the beach! We also have an all-weather arena for some schooling practice and plenty of parking for trailers and boxes. And, for those emergency moments, the yard is well serviced by farriers and vets. Grass livery includes storage for tack, feed etc. £10.00 per horse per night. Full stabled livery with optional turnout field includes storage for tack, feed etc, morning rug and turnout, muckout, straw bedding and hay £20.00 per horse per night.